Alternative investments are increasing in popularity with savvy investors who want to diversify a retirement account. Not only does one gain tax advantages, but they provide a diversified strategy cushioning a portfolio when traditional markets are volatile. In this article, industry insiders discuss alternative investiments to consider for your IRA. “I love the prospect of using private equity real estate in a retirement account. Real estate is viewed as a hedge against inflation. Real estate as an asset class is highly attractive due to the ability to receive income and capital appreciation. You can actually use your Roth IRA or IRA to invest in private funds that will invest in real estate directly. Keep these alternative investments in mind as part of a retirement account. They provide diversification strategies for reducing risk, and give you piece of mind when it comes to your retirement assets. 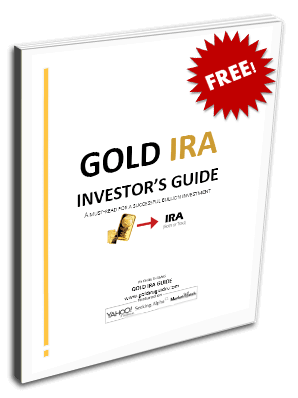 “I have used alternative investments for a number of years for the IRA accounts that I manage. Depending on the size and risk tolerance of the client, the allocations range from 10-20% of the portfolio. 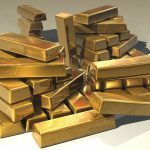 The alternative investments that I use can be segregated into four separate categories: long/short equity funds, managed futures, global return funds and gold. I do not consider real estate or commodities allocations as alternative investments as many advisors do. The first three categories should provide stability and be characterized by low volatility. While they may produce very positive returns, their main function is to provide a cushion for the portfolio if bond and stock markets become very bearish. In particular, managed futures that I have used for almost 15 years represent an ideal alternative if stock, bond and commodities markets dropped precipitously for a relatively long period of time. They proved their value during the financial crisis in 2008. Long/short equity funds include allocations to mergers and acquisitions funds that attempt to derive returns from the arbitrage opportunities resulting from the purchase of one company from another. In essence, most long/short equity funds invest long in stocks that they believe have growth potential and short stocks they believe are over-valued. Global return funds often derive their gains from opportunities that present themselves by pairing off asset classes that historically work for or against each other in various economic climates as well as other perceived opportunities in the global economy. 1. Life insurance (An exception is available for a 401(k) plan. 2. Collectibles, such as art. However, an exception applies for IRS approved precious metals and coins, such as bullion. 3. Any transaction outlined in Internal Revenue Code Section 4975. In general, IRC 4975 does not allow an IRA owner to engage in any transaction that directly benefits the IRA holder or any “disqualified person.” The definition of a disqualified person (Internal Revenue Code Section 4975(e)(2)) extends into a variety of related party scenarios, but generally includes the IRA holder, any ancestors or lineal descendants of the IRA holder, and entities in which the IRA holder holds a controlling equity or management interest.